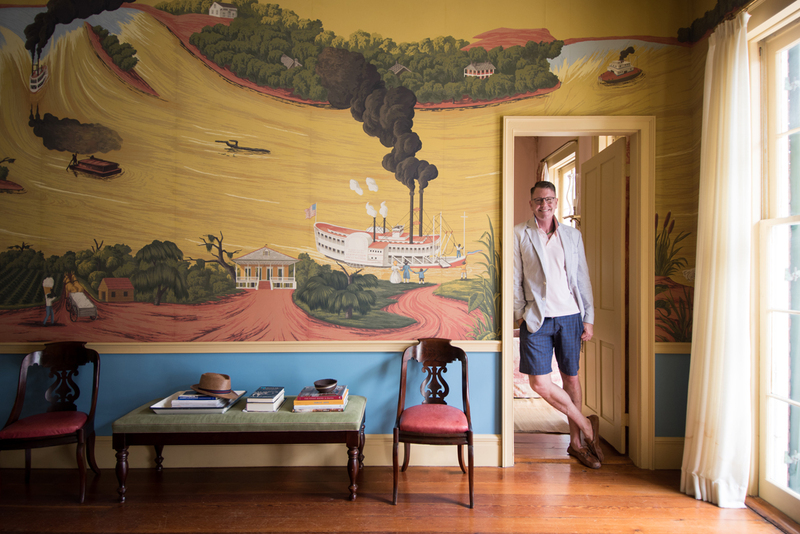 If you believe that old things cannot seem new again, then chances are, you have never encountered the work of designer Thomas Jayne. 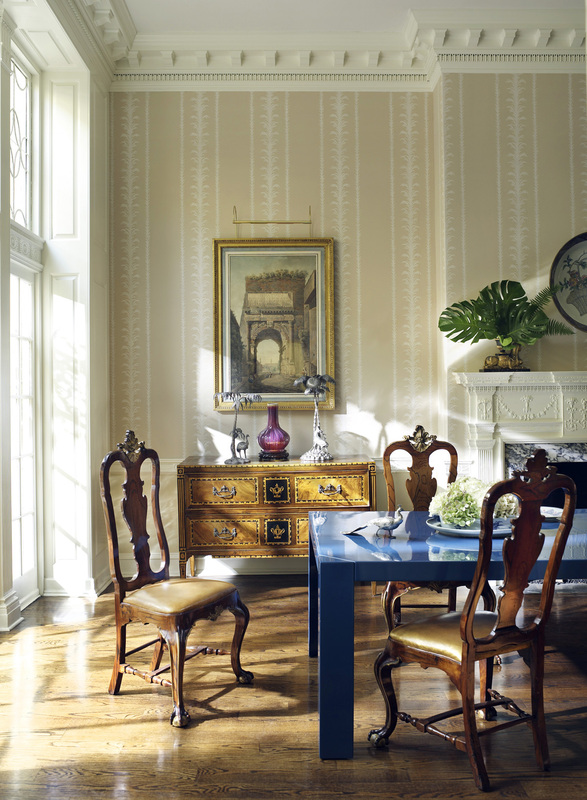 The Winterthur-trained, Albert Hadley protégé has spent the last 25 years reinterpreting classical American interiors through a contemporary lens of “comfortable decoration,” as he calls it. 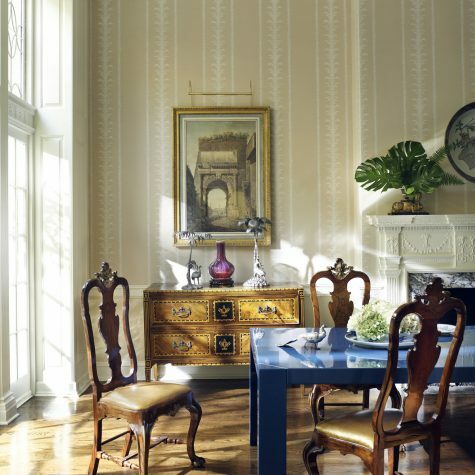 His projects range from a 19th century Philadelphia townhouse and a shingle-style charmer in Maine to a Park Avenue pied-à-terre, yet all are infused with Jayne’s reverence for a sense of history and place. 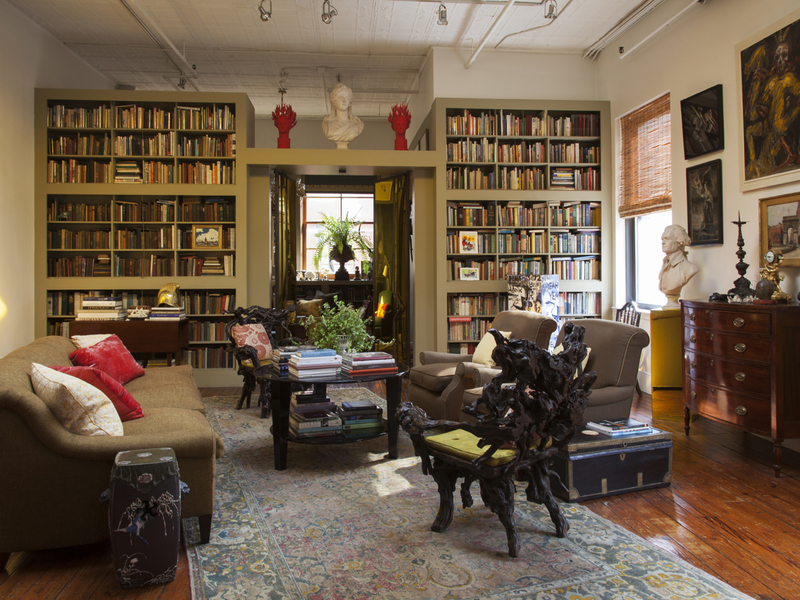 As a result, all Thomas Jayne projects have a fresh and modern livability to them, even as they draw from the past and seamlessly weave together art, antiques and classical elements. 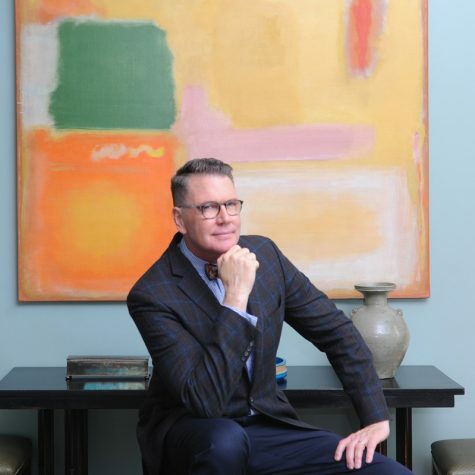 This contextual approach to design continues to earn him a place on Architectural Digest’s venerable AD100 list, as well as on Elle Decor‘s A-List of top American decorators. 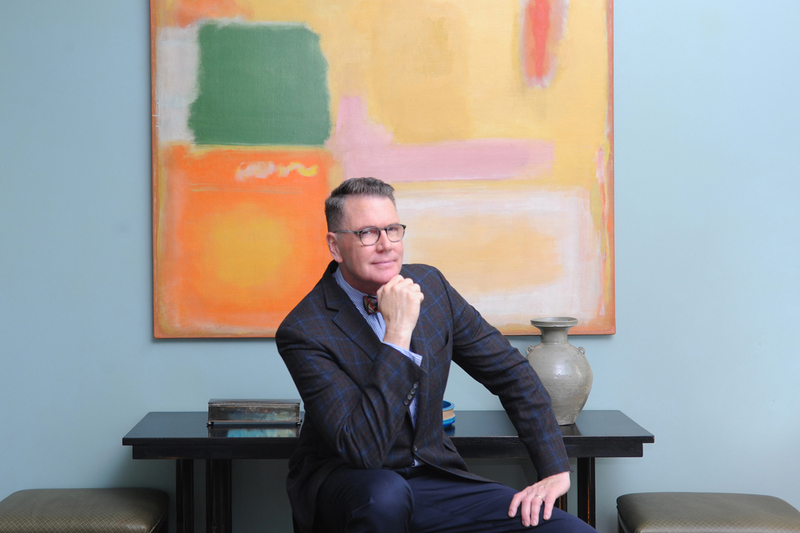 The Coldwell Banker Global Luxury® program recently sat down with Jayne — who divides his time between New York and New Orleans — to discuss his inspirations and how he finds modern-day truths in the maxims of the past. Coldwell Banker Global Luxury Where do you find inspiration? 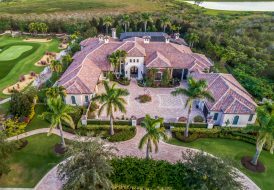 Coldwell Banker Global Luxury Are there certain historical periods that excite you more than others? Thomas Jayne Yes. I love early Georgians interiors and objects, the late 19th century for its complication and enrichment. 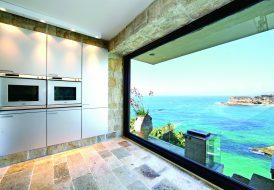 Coldwell Banker Global Luxury How does setting inspire your design? Thomas Jayne Sense of place is important. When you are in the setting, everything looks different. The light is different in different places. For example, the light in Boston is different than the light in Charleston and certainly when you get out to the Cape. Objects and furnishings that might look good in New York might not look good in Maine. I am always calibrating from that sense. I find that traditional norms of what people expect to see. For a beach house in Florida, would not decorate with silk damask, or other fancy fabrics. It’s not unlike fashion. Coldwell Banker Global Luxury Which cities inspire you most and why? Thomas Jayne I really like cities that have an ancient and modern component together. A classic example is Mexico City, built on this pre-Hispanic foundation and the old and new are so close together. Rome is another example. Even in LA, with the preservation efforts, you’re starting to see those juxtapositions of 100 year-old buildings and newer structures. For something to be inspiring, it has to be a contrast. It has to different than your everyday. It’s been a good decade for cities where people are starting to appreciate urban living and old places in urban settings. Coldwell Banker Global Luxury What about New York and New Orleans? It can’t be a coincidence that you own homes in two of America’s oldest cities. Thomas Jayne What’s great about New Orleans is that it’s a port, and there is a constant influx of people coming through. A lot of people come to New Orleans to let off steam. They might live in a repressed neighborhood, and New Orleans is their point of freedom. That’s not the case in New York. The sheer density of historic material, is also inspiring. Aesthetically, people in New Orleans are much more willing to live with old things. They are less driven by efficiency. New Orleans is a social city, and people are not there to get rich. In New Orleans, you can still afford to be an artist. In New York, it’s much more business-oriented. It’s centrally located. There’s still a lot of vigor in the design community. And the cultural resources are incredibly deep — from The Met to the New York Public Library, you can’t match it. Coldwell Banker Global Luxury Why do you think you have always been attracted to things that have a history? Thomas Jayne I always like the stories attached to them. It has narrative value to me. And it’s visual appealing. I love creating contrasts with something old and something new. Coldwell Banker Global Luxury At the most fundamental level, what draws you to classical style? Thomas Jayne I like the order of it. I like how it organizes things. It gives you a visual piece. You know where the front door of the building is, you know where you sit and stand. Coldwell Banker Global Luxury You talk about the idea of comfort a lot in your work. Thomas Jayne There are basic elements that make people feel comfortable. Proportion is one element. People will really notice the shape of a room. Maybe the ceiling is a certain height, or you might arrange the furniture so you can converse easily with guests. I’ve found that two chairs and a coffee table work easily in that arrangement. The idea is that you’ve planned for your guests. In their 1897 book, “The Decoration of Houses,” Edith Wharton and architect Ogden Codman argued for a sequence of rooms with a front hall, a valve from outside to inside, and having the hall being more of a private space than a public space. They thought the main hall of the house should be held back and chaste, and the rooms that came after it can be more elaborately decorated. Today, the front hall has been written off as a waste of space, but I think people are finding that they are useful as you see the renaissance of the mud room. 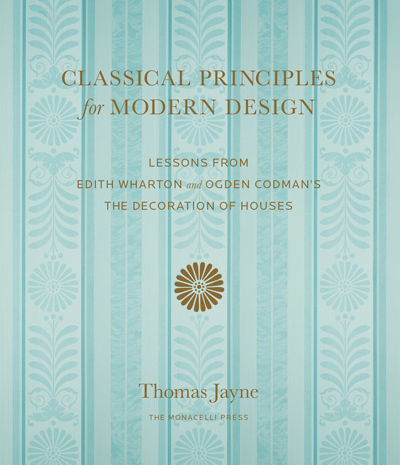 Coldwell Banker Global Luxury To that end, your recent book, “Classical Principles for Modern Design” revisits many of the lessons espoused by Wharton and Codman. Can you illuminate a few of the most important lessons for our readers? Thomas Jayne They argue that we should look at historical models and apply the good ones to our lives. They were very excited that we were looking at the best models in 1897. I think the idea that they broke down a house into parts, and the types of rooms, was very interesting. They talk about walls. They believed that an interior wall should have a base and a corner and have crown molding. Wharton thought there should be discreet rooms so everyone can live comfortably. The chapter on doors is great too, as so many homeowners today are taking out their doors left and right — even now. To think that there was hostility to doors in 1897! Thomas Jayne I always argue that if it’s not practiced anymore then it’s no longer a tradition. Tradition is an active word. 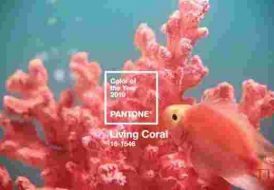 Coldwell Banker Global Luxury What are some of the ways you might make an old thing look fresh? Thomas Jayne Sometimes it’s the color of it or how it’s used or what it’s placed with or where it’s placed. It’s often about a specific object or sculpture and how it relates to its environment. Japanese vases from the turn of the 19th century can look different and fresh. Coldwell Banker Global Luxury And on the flip side, how might you make a new thing look like it has been there a while? Thomas Jayne We placed a Saarinen table next to an 18th century chest of drawers from Dresden, which had a Rococo shape. The reciprocity between the two was beautiful. If I took the chest away, the Saarinen table might look pretty boring. 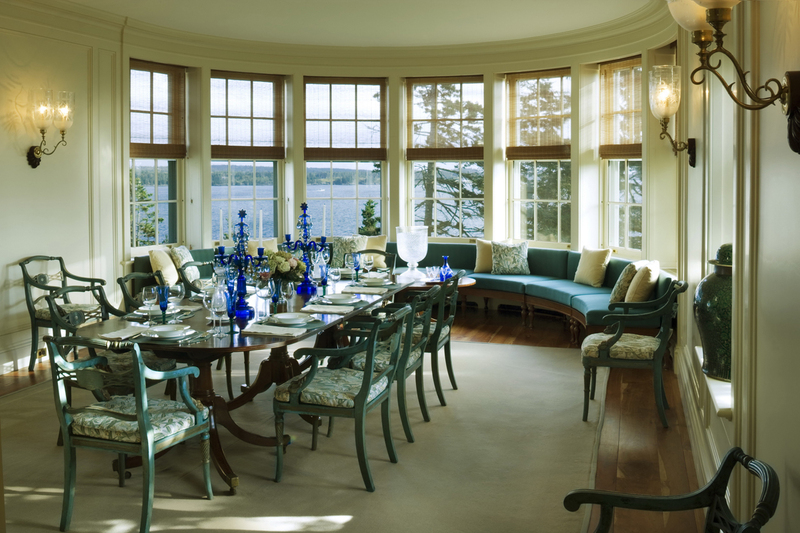 Coldwell Banker Global Luxury For you, what’s the single most important element in a room? Thomas Jayne The people. If people are miserable and unhappy, what is the point? If the lighting is good, and people have a comfortable place to sit, and something that is engaging in the room that they can talk about , then you have created a comfortable living space. Without something old, it’s hard to make it interesting. Coldwell Banker Global Luxury Spoken like a true traditionalist.